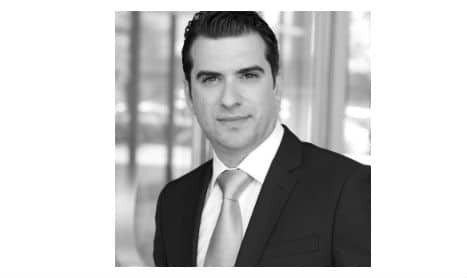 Data Center POST recently had the opportunity to interview Ivo Ivanov, Head of Strategic Development at DE-CIX Management GmbH. In our Q&A, Mr. Ivanov discusses several different topics, ranging from winning the Global Carrier Award as Best Internet Exchange, to global growth of DE-CIX Internet Exchanges, to security, DirectCLOUD and DE-CIX’s vision for the future. 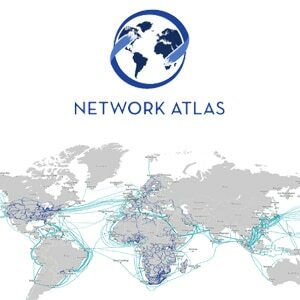 Founded in 1995, DE-CIX provides premium network interconnection services and operates several carrier and data center neutral Internet Exchanges in Europe, the Middle East and North America. DE-CIX has established an environment for the bilateral settlement-free exchange of internet traffic, called peering. DE-CIX’s Internet Exchange in Frankfurt is the world’s leading interconnection platform, managing more than 5.5 Terabits per second peak traffic. Data Center POST, Kathy Xu (DCP-KX) Question: DE-CIX won the Global Carrier Award as Best Internet Exchange. Congratulations! What has led to DE-CIX’s success in receiving this honor two years in a row? DE-CIX, Ivo Ivanov (DE-CIX-II) Answer: Thank you! We are very thrilled to receive this award for the second year in a row. This really means a lot to us and celebrates our team and the efforts we have invested over the past 12 months. I think that we have built our success on listening closely to our customers, and we have aggressively expanded into regions that do not yet have access to high quality IX services. (DCP-KX) Q: What do you attribute to DE-CIX’s quick growth of Internet Exchanges in New York, Madrid and other locations around the world? (DE-CIX-II) A: DE-CIX is game changer as a distributed, carrier- and data-center-neutral Internet Exchange. DE-CIX is set to have a major impact upon North American telecommunications, boosting each city’s and the country’s vital digital infrastructure. Built on the same successful open model as DE-CIX in Frankfurt, DE-CIX North America LLC will engineer the new Internet Exchanges in the U.S. for high-capacity, high-performance Layer 2 interconnection known as “Peering”. 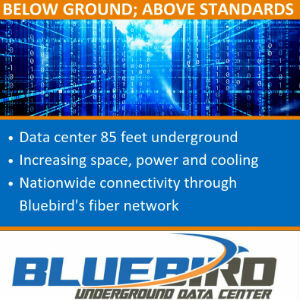 Different than the prevailing U.S. internet traffic exchange model, DE-CIX will deploy a large scale Ethernet switching fabric combined with an all-fiber optical metro-backbone that supports traffic volumes of up to multiple Terabits/second across multiple data centers in select metropolitan areas. This enables all types of internet providers to exchange traffic across a neutral, distributed infrastructure. 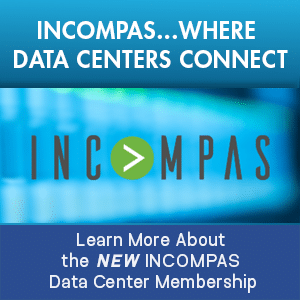 This is an advantage over current U.S. colocation and exchange models, where data centers primarily serve their own on-campus tenants or connect customers with passive Private Interconnects. (DCP-KX) Q: What are the major challenges that DE-CIX is currently facing? (DE-CIX-II) A: Overall, the interconnection industry is acting in a very price-sensitive market. In some regions, for example, the Middle East, but even North America, the benefits of peering need more promotion. There is a greater need to educate the market about peering as a beneficial interconnection approach. 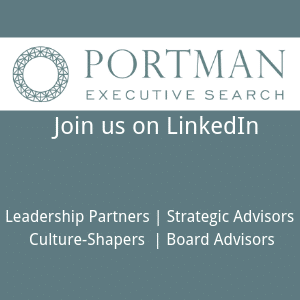 So, we are committed to providing educational thought leadership in this arena. (DCP-KX) Q: Security is a major topic in the telecommunications field. How is security significant for DE-CIX? (DE-CIX-II) A: In the past weeks and months, very large DDoS waves were flooding networks all over the globe, challenging the internet infrastructure. These attacks clearly showed the need for more decentralized measures to unburden networks of the malicious traffic as close to the origin as possible. In case of a DDoS attack, the malicious traffic is sent on several routes to the attacked host server. If a network at DE-CIX New York is attacked, the network uses DE-CIX’s Blackholing service in New York to get rid of the traffic. This is very effective at the Internet Exchange locally, but it only catches traffic that most of the time already travelled thousands of miles to reach that target, congesting existing routes. And it only catches traffic that comes in via the peering exchange. To fight the traffic more effectively and unburden the routes, DE-CIX enables networks to send information about the attacked server to the DE-CIX Frankfurt exchange and get rid of malicious traffic already in Europe. This unburdens routes to the U.S. and leaves more capacity for non-malicious traffic. The same is true for malicious traffic originating in the U.S. on its way to Europe; it can be stopped at DE-CIX New York. With DE-CIX’s GlobePEER remote service in New York, exchange members in the U.S. can enter information about their attacked hosts directly into the DE-CIX Frankfurt platform. This information triggers the burning of large portions of DDOS traffic already in Europe before it reaches North, Middle or South America via IP transit or peering paths. This helps to reduce the attack volumes and the collateral damage in the home region even for networks with a selective or restrictive peering policy. Having bigger transit ports and raising network capacity is no longer enough to protect networks. By being able to blackhole traffic from all over the world prior to having it sent via transatlantic routes can dramatically diminish the size of an attack. (DCP-KX) Q: In Frankfurt, DE-CIX provides DirectCLOUD (private access to cloud services via the DE-CIX Apollon platform). How does this work and why are cloud services important? Does DE-CIX plan on making DirectCLOUD available at other markets? (DE-CIX-II) A: DirectCLOUD enables customers to access cloud service providers connected to DE-CIX. The first provider to become available is Amazon Web Services, one of the largest cloud providers worldwide. A number of popular services — such as Dropbox, Netflix, Foursquare, Reddit and HootSuite — draw on the services of Amazon Web Services. In addition to this, we anticipate the portfolio of cloud providers will grow in the near future. Customers can expect improved network performance, increased security and lower costs for infrastructure with DirectCLOUD. DirectCLOUD is available in a range of bandwidths from 50 Mbit/second to 10 GBit/second. For existing customers, a connection to a cloud provider via DirectCLOUD can be created in just a few minutes, and for new customers in just a few days. DirectCLOUD is initially available at all DE-CIX locations — the so-called “enabled sites” — in the metropolitan region of Frankfurt. 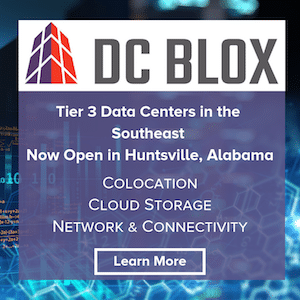 In conjunction with this, in September, DE-CIX expanded the availability of its services in Frankfurt to 20 data centers, entering a partnership with Global Switch, one of the leading operators, owners and developers of provider-neutral data centers for enterprise customers in the European and Asia-Pacific regions. DirectCloud will be extended to other DE-CIX sites in due course. (DCP-KX) Q: Where are you looking to strategically move DE-CIX within the next few years? (DE-CIX-II) A: DE-CIX has taken the next steps into a successful future. We are concentrating on three main areas for our services and solutions. Number two: Interconnection demand. Our Apollon platform is designed to be scalable and expandable. That said, we will further develop our interconnection of DE-CIX locations. After a successful launch of GlobePEER Remote Frankfurt–New York City, we will now extend the service to two more locations. Early 2017, we will enable customers from Hamburg and Munich to peer with customers in Frankfurt and vice versa. Instant access to over 730 ASNs in Frankfurt will also support local peering at those locations by attracting new customers. We have built upon the experience with GlobePEER Remote Frankfurt–New York City and will also implement our already announced GlobePEER Remote Frankfurt–Istanbul and Frankfurt–Düsseldorf services. Number three: Security. With more and more devices connected to the internet, security becomes an ever-greater priority. We have already seen massive DDoS attacks supported by the weaknesses of the Internet of Things. We have a strong focus on resilience and availability and want to continue providing a 100 percent reliable platform. Therefore, our renowned Blackholing service will be taken to its next level. DE-CIX contributed heavily to RFC 7999, which offers a standardized method of signaling Blackholing to IXPs and IPs. RFC 7999 is already available at all DE-CIX IXs worldwide. DE-CIX will also redesign the way we think about our services. The new DE-CIX service structure creates a logical separation of the port into two parts: a physical access to our Apollon platform and virtual services. This means that in future, alongside the familiar DE-CIX GlobePEER Service, further services, such as MetroVLAN and DirectCLOUD, can be booked from a single access to the Apollon Platform. This new service model will facilitate the introduction of new products, services and features. 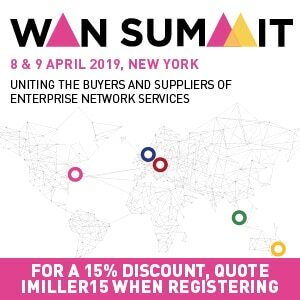 The change to the pricing structure on the basis of the service model serves as a simplification and will enable customer needs to be fulfilled individually. For example, in the future a customer will not need an Autonomous System Number (ASN) to take advantage of services. The new service structure will be available early next year. We will start by offering our services in this new structure at DE-CIX Frankfurt, with our other locations joining in the course of the year. So, DE-CIX will continue building and supporting healthy ecosystems around the globe and this will remain our main driver. This means that supporting peering will stay at the core of what we do. But we will add more and more services to our platform, which will support our customers’ demands around the globe. The journey continues with DE-CIX. (DCP-KX): Thank you for your time. If you are interested in learning more about DE-CIX, please visit https://www.de-cix.net/.